Are your kids anything like mine, and busting at the seams waiting for Summer? Especially this past week, when the weather was absolutely perfect and warm and getting us even more giddy. Reality is that their Mom is probably more ready for Summer then they are. 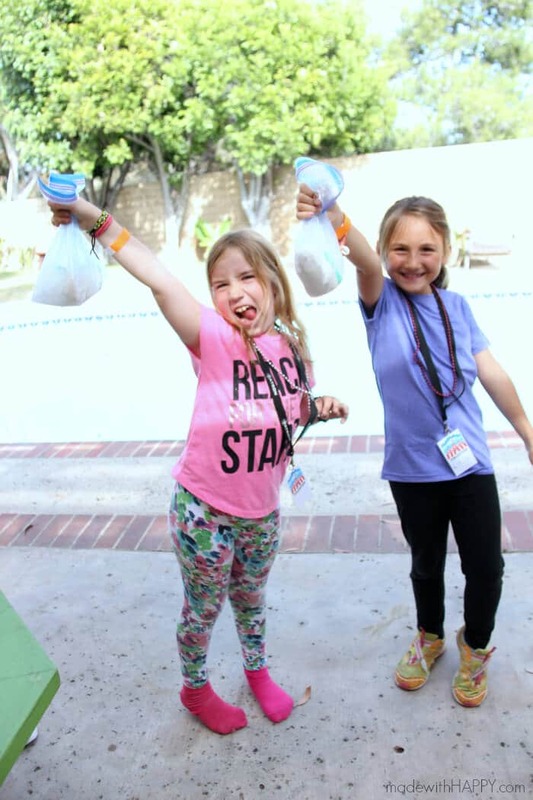 In any case, with the weather as it is, we busted out some of our favorite summer kids activities this past week including one of our favorites, making ice cream in a bag. Its so easy, that I couldn’t believe I hadn’t showed you all before. In the gallon ziplock add the ice and rock salt. Set to the side. In the quart ziplock add the half-n-half, sugar and vanilla. Remove the air from the bag and seal the bag. 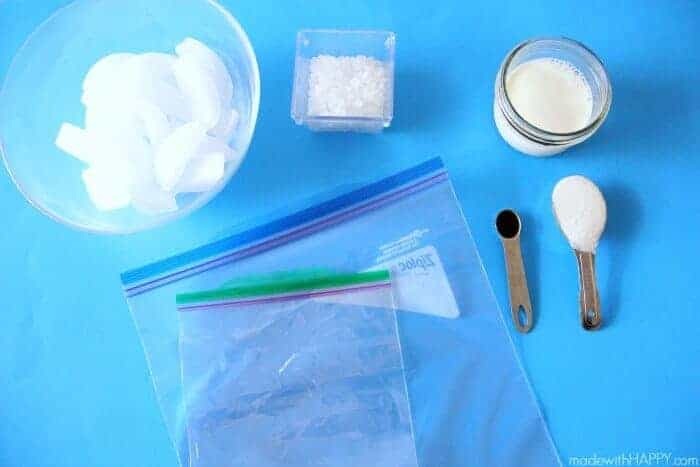 Place that bag inside the gallon ziplock and then close the gallon bag. Shake for 10-15 minutes. 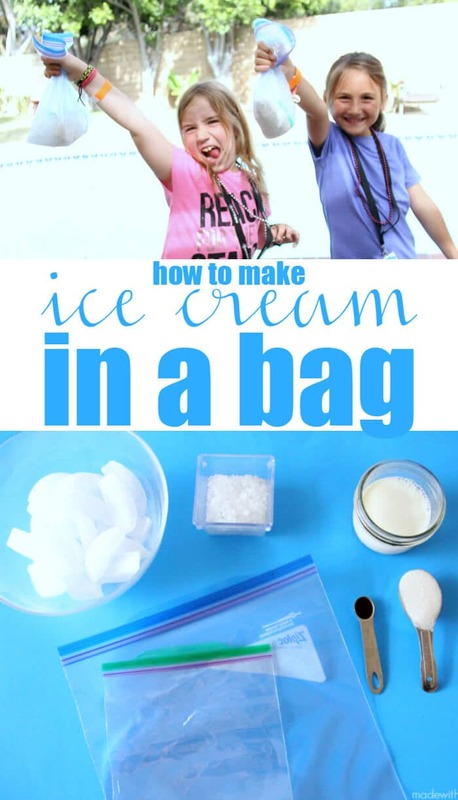 For added fun, you can add chocolate syrup, chocolate chips, or sprinkles. So much fun for the kids and so so easy to make! 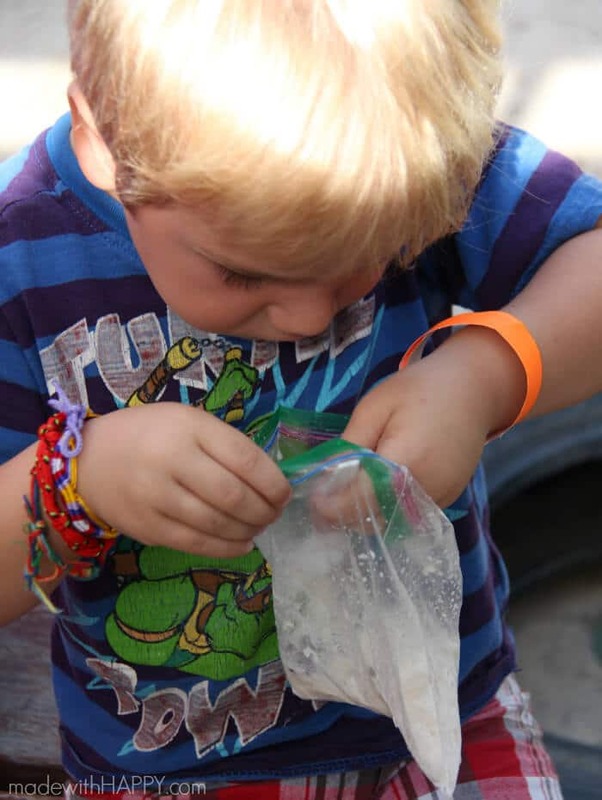 This is also lots of fun for the kids to make while camping as they don’t require any bowls and can be eaten right out of the bag! Hope this makes it to your Summer Bucket list this year!! !